Indeed, our healthcare system (and what politicians try to do or not do to it) has mattered greatly since the 90’s. Bill Clinton’s attempt to reform our healthcare system, Barack Obama’s landmark passage of the Affordable Care Act and most recently Donald Trump’s failure to repeal and replace the ACA have all helped make healthcare a top priority for voters, even in the midst of various economic crises. Even if one sets these past controversies aside, however, it’s no surprise that American voters are so concerned about the state of health and sickness in our country. We spend more per capita on healthcare than any other nation in the world, but have the worst healthcare outcomes out of any developed nation. Countries with far smaller GDPs have significantly better health outcomes and greater access to care than we do. Medical debt, the fear of a fall or a car accident, and delaying care to finally get that persistent backache or mysterious bump examined remain shamefully common phenomena in a country that boasts “life, liberty and the pursuit of happiness” as unalienable rights in the constitution. How can we pursue life without health? How can we be free with medical debt? How are we happy when ill? Happily, even among conservatives who rage against supposed government overreach, the need for an expanded public healthcare system has become increasingly widely accepted. For the first time in years, the latest polls show that a majority of Republicans (52%) support the “Medicare for all” solution. This represents a major shift in attitudes and beliefs towards the U.S. healthcare system, what is wrong with it and who should be responsible for fixing it. And while Medicare for all is a lofty goal because of the massive transformation such a policy change would require, there is a realistic path to incrementally changing our dysfunctional and inefficient system immediately after this election: Medicaid expansion. And in spite of North Carolina’s five-year refusal to pursue such a course, advocates feel hopeful that it can happen here, especially after Virginia’s major victory and the fast-growing support for more healthcare, not less. While Medicaid expansion is the single most impactful and pragmatic policy proposal yet to provide care to millions of people who are the economic heartbeat of our country and in desperate need of coverage, partisanship and ideology have kept this lifesaving solution from being fully implemented, much to the harm of families, our economy and rural hospitals. The unwillingness of our policymakers to rise above the partisanship and serve their country and constituents has led advocates to organize and put the decision of Medicaid expansion into the hands of voters in three conservative Republican states, Idaho, Utah and Nebraska. Voters in Montana will be faced with the question of whether or not to continue Medicaid expansion through a tobacco tax or to allow the program to sunset and discontinue coverage to 70,000 Montanans. Early polling numbers show that Medicaid expansion enjoys strong support among voters as they cite healthcare as no longer being a Republican or Democratic issue, and instead, an issue facing all Americans. With these three states putting the decision of expanding Medicaid into the hands of voters, only 14 states remain in which the issue remains unaddressed. Politicians in these 14 states – including North Carolina – would do well to note that even in states where Trump won by an overwhelming majority, all voters want and need access to healthcare. It will be interesting to see what happens Tuesday with the ballot measures and if our politicians here in North Carolina will finally hear the message on healthcare and expanding Medicaid. If the ballot measures pass, expansion will allow a combined total of 400,000 people in those states to access life-saving care and medications. 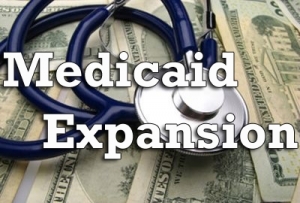 If our General Assembly would expand Medicaid, we would have more than 600,000 people in our state alone who would benefit from expansion, not to mention the countless economic benefits it would have for North Carolina. Hopefully when we wake up on Wednesday, it will be to a reality in which three more states have expanded and North Carolina politicians are finally seeing the handwriting on the wall.